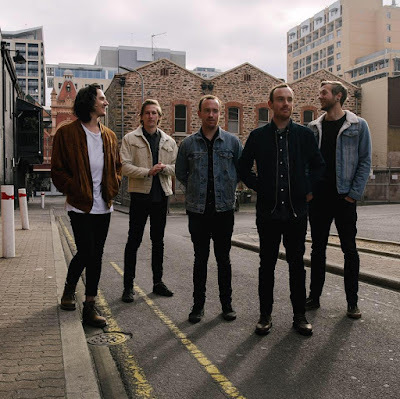 Australian five-piece indie rock group Lost Woods have just unveiled their brand new single My Amazon, an upbeat, sun-soaked piece of indie pop music. What drew me towards this song was its feel-good vibe and awesome energy. It's a perfect piece of indie pop music with infectious melodies and a chorus that got me singing along to it in no time. I'm really enjoying the jangly guitar riffs and driving rhythm section that perfectly back those cool vocals and create a super radio-friendly track. They just transported me back to summer and I am now craving for a road trip in the sun! Stream it below! My Amazon was mastered by multi-Grammy award nominee Greg Calbi (The National, St Vincent, Sleater - Kinney, Frightened Rabbit) and addresses the expectations placed on our lives by others. The uncertainty of pursuing a creative dream, at the expense of a stable job and financial stability, and the internal and external battle for acceptance that goes with that.